You can have two little friends waving hello to you from your very own hands! 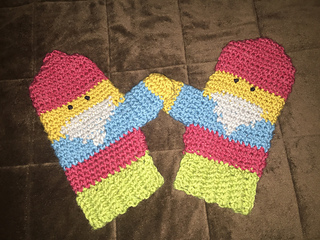 The Hello Gnome Mittens use tapestry and intarsia techniques, but really it’s all sc stitches with a few color changes that create these iconic little guys! Soft and squishy Lion’s Pride Woolspun makes these super warm - and a skein of each color is enough for 2 pairs of mittens (more in the child size)! 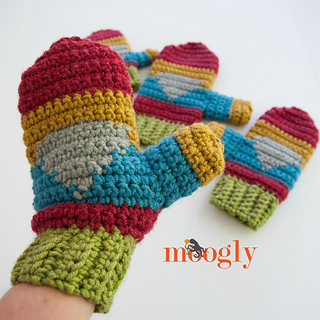 Designed as part of the Crochet Mitten Drive Blog hop to help those in need this winter!